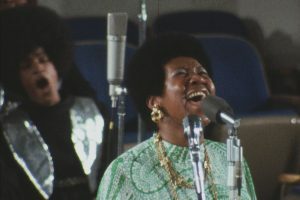 O Cinema Miami Beach screens “Amazing Grace,” a documentary presenting Aretha Franklin with choir at the New Bethel Baptist Church in Watts, Los Angeles in January 1972. 8:30 p.m. 500 71st St. Details: https://bit.ly/2G16fig.